The Haramlek Palace is part of the Montazah Complex in Alexandria, the former summer residence of the royal family. The building has an interesting design, built in many different styles including Gothic, Classic, Islamic elements, but mostly has a Byzatine style. 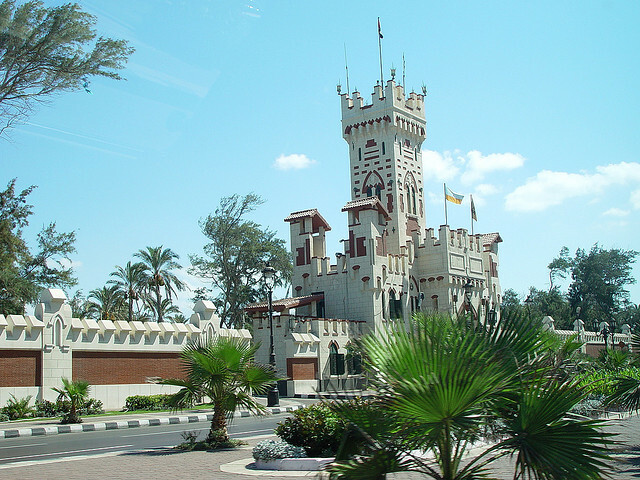 The Haramlek Palace is a beautiful site as it is located on a plateau near Alexandria with a beautiful sea landscape in one part and a garden that extends on a huge area. It is a perfect place for relaxation. 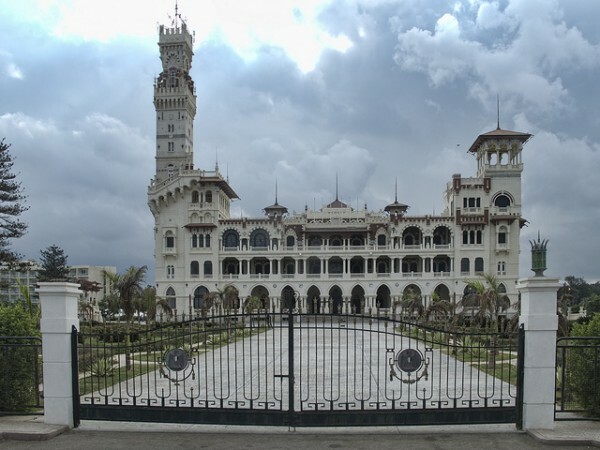 The Haramlek Palace is only one of the palaces of the Montazah Complex in Alexandria and worth to be seen. The Al-Haramlek is a luxury hotel with a really good restaurant. The Haramlek Palace, as the Turkish world says, was a palace for women, where nobody else could enter. This type of palace had a special architecture. The palace was richly decorated mostly with baroque and Rococo elements, had amazing French furnitures, which are now precious antiques and many other ornaments including plants and different interesting geometric designs. 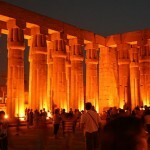 It is surely an amazing tourist site. 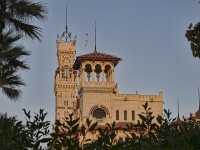 The Haramlek Palace of the Montazah Complex in Alexandria was built with three floors. On the first floor are a large number of rooms and halls and also hosts the office of the king, which is obviously a very important room, it also has a billiards hall and a dining lounge. The second floor was the area of the royal household, where lived the chaperones and the servants of the royal family. The top floor was the area of the king and queen, and, also the place of the baby prince. Between the suites of the king and queen was made a large balcony. The room of the baby was very carefully built out of the cork, because otherwise the footsteps could disturb him. The three floors of the building were built in a special way, because in the middle of the Haramlek Palace was a large open air hall and the rooms were arranged around it. 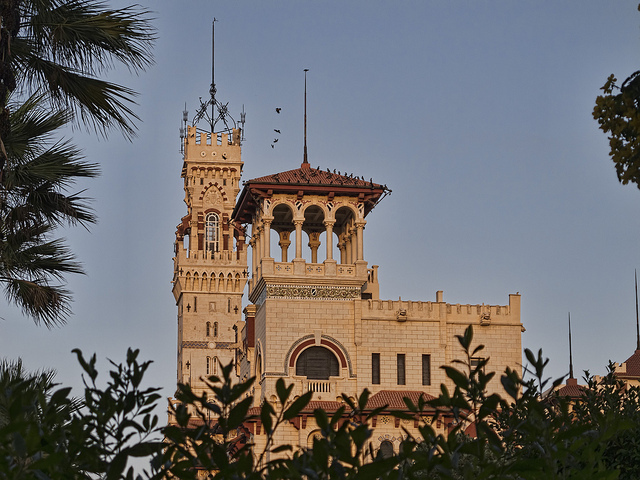 The last king that owned the palace was King Farouk, who made a restoration work on the building and also started an interesting project. 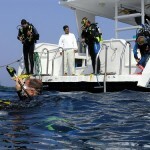 He designed a crypt that can be accessed directly from the Haramlek Palace and leads to the sea. He wanted to leave the palace safely and quickly in case of an attack. 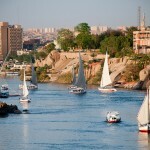 Sadly the project wasn’t completea because came the Egyptian revolution in year 1952.